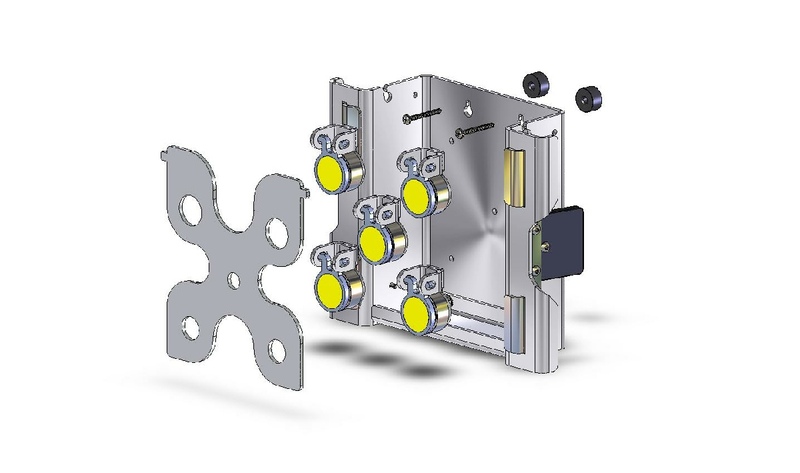 The new Universal Target Box is a modular target system allowing you to buy a base module and add further parts later as required. 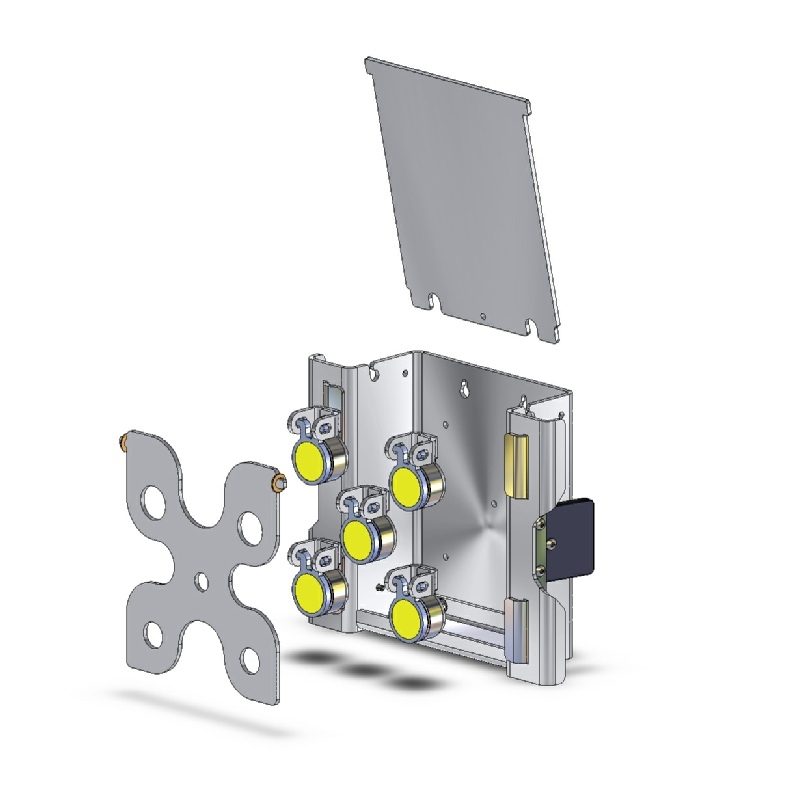 Alternatively a number of pre-built kit options are available as listed below giving savings over buying the parts separately. 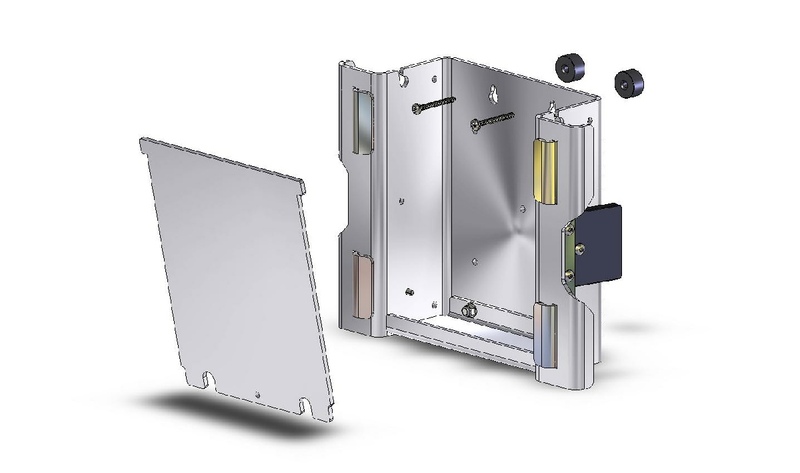 These kits are built to order although we usually carry stock of some variants available for immediate dispatch - please enquire if you are interested in purchasing one. 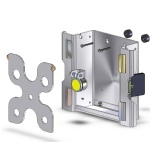 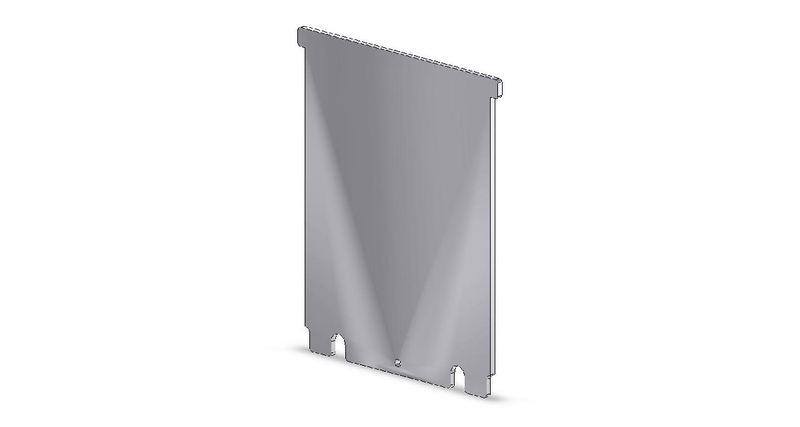 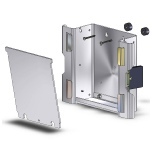 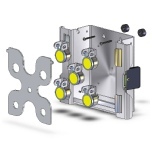 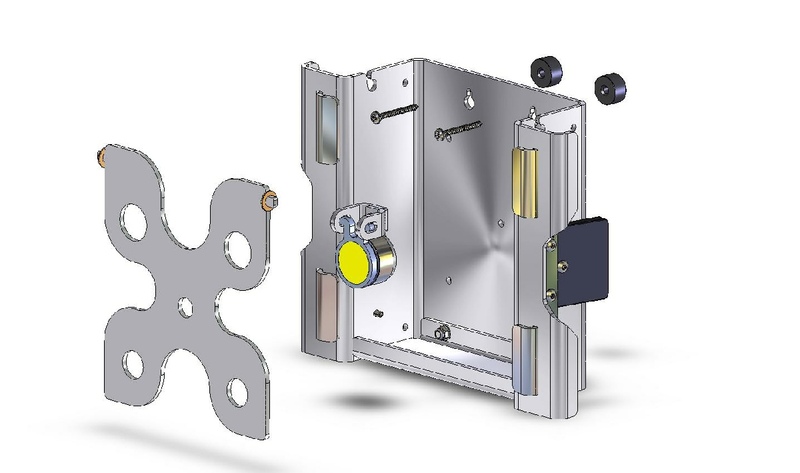 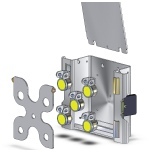 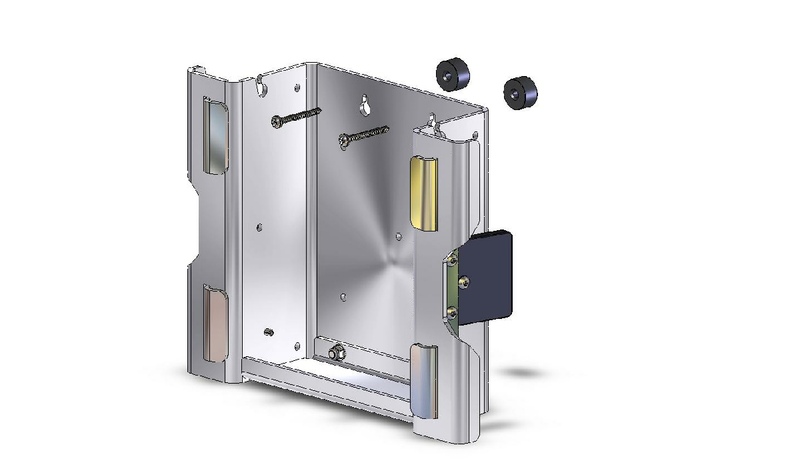 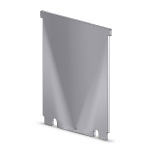 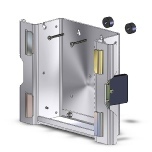 NEW - Universal Target Box - Base Module with Butterfly Plate and single HD FireCap target. 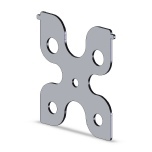 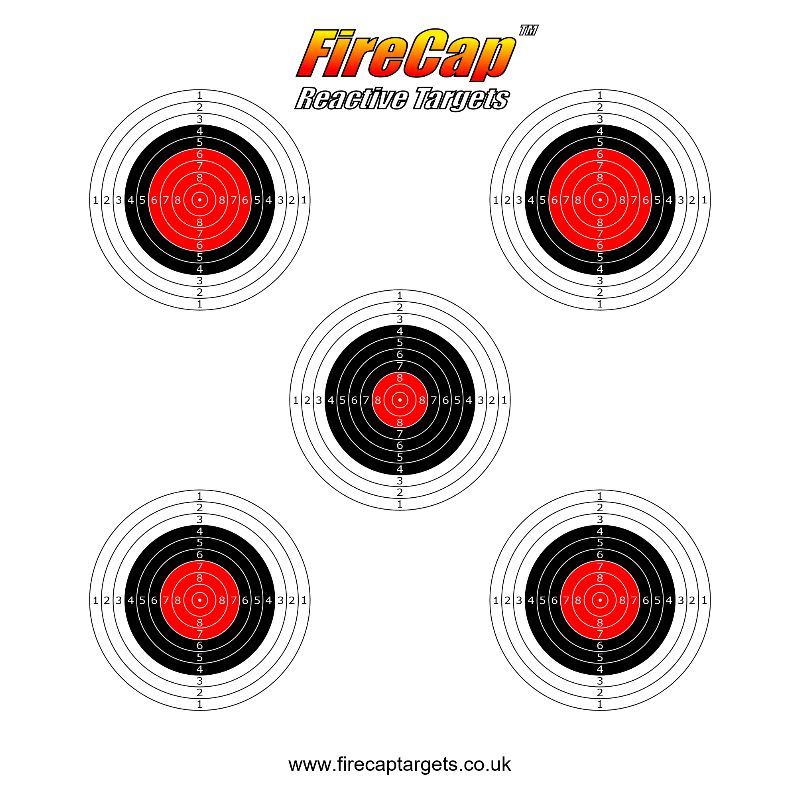 NEW - Universal Target Box - Base Module with Butterfly Plate and five HD FireCap targets. 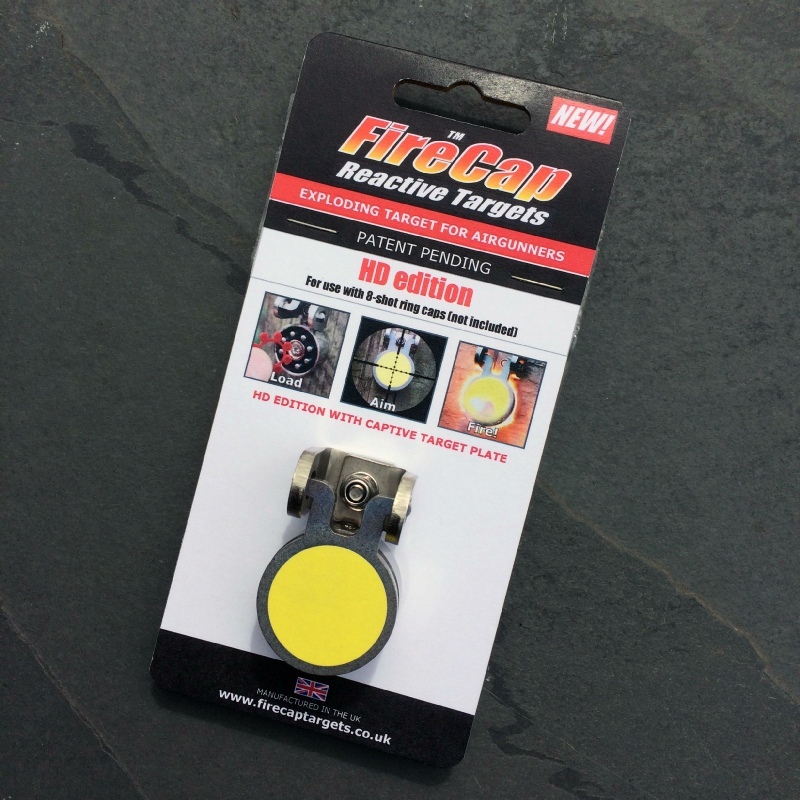 NEW - Universal Target Box - Complete kit with Deflector Plate, Butterfly Plate and five HD FireCap targets. 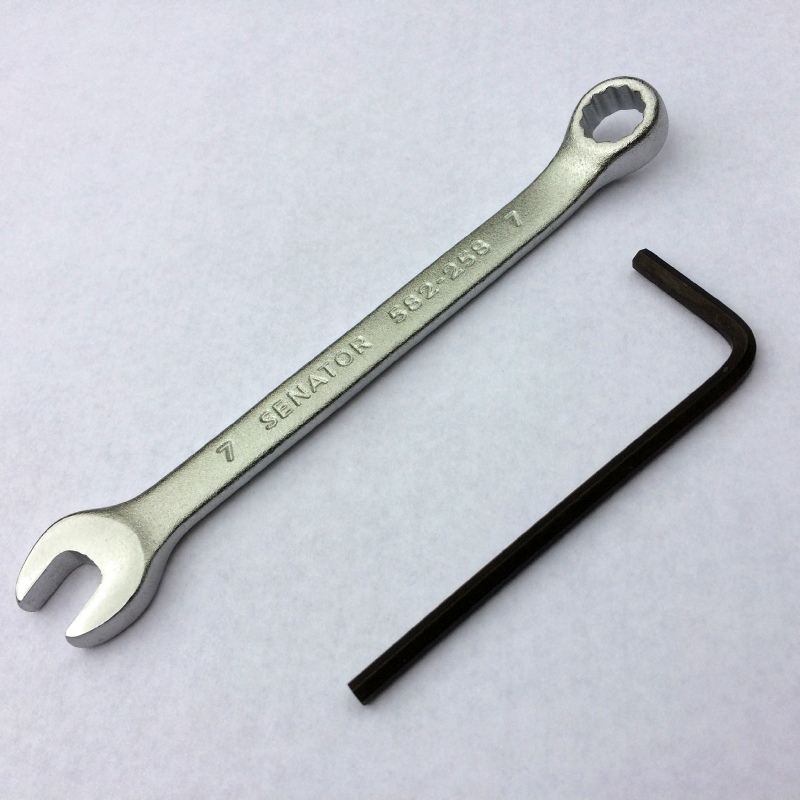 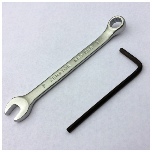 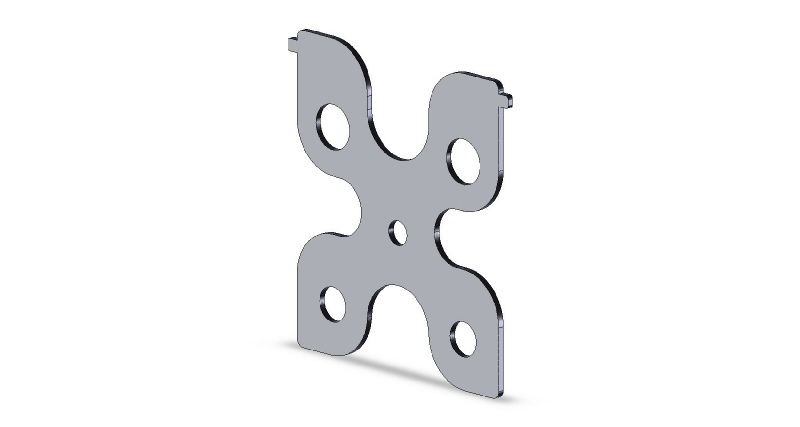 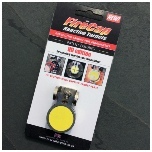 Supplied in retail packaging complete with easy-peel coloured target stickers and stainless steel fixing screws for multiple mounting options. 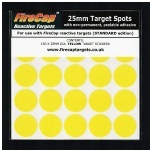 New - Yellow target spots with a non-permanent adhesive allowing easy removal from the target plate. 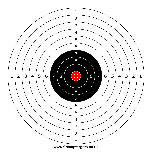 Pack of 50 double sided target cards printed with 10m air rifle target on one side and 10m air pistol on the reverse. 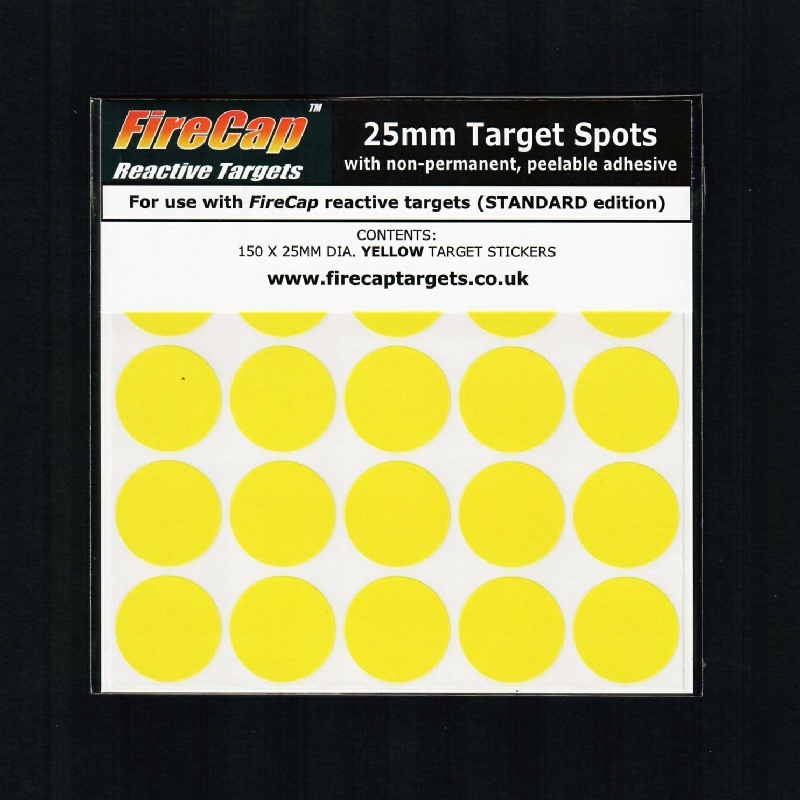 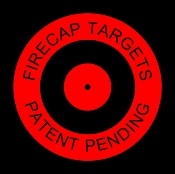 These are the only target cards that will accurately register with your FireCap targets and butterfly plate.